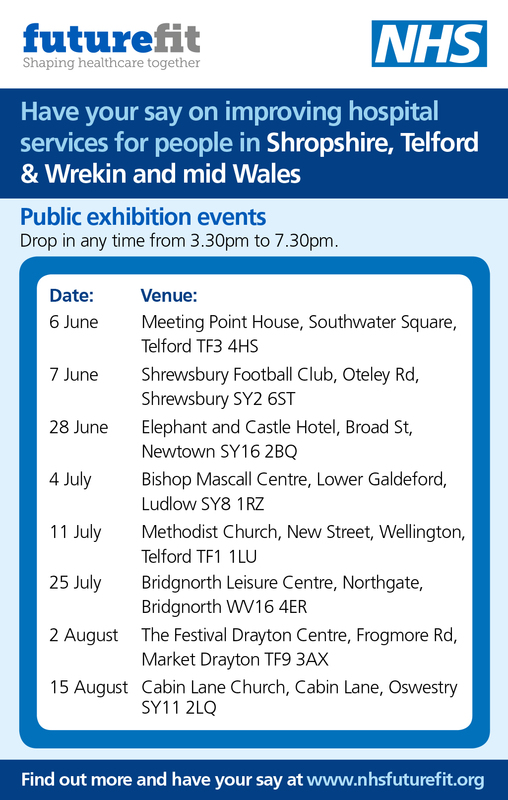 Shropshire Clinical Commissioning Group has published a letter about the launch of the Future Fit public consultation which is available here. this includes information about how to find out more about the proposals and how to participate in the consultation. Also available is a list of upcoming public exhibition events.